This week is likely Congress' last chance to pass legislation stabilizing the Affordable Care Act's insurance markets, and it's anyone's guess what lawmakers will end up doing. On top of the political uncertainty, the policies they're considering are more complicated than they seem, and the results could be a mixed bag. Why it matters: What Congress does here will have a big impact on millions of people's insurance premiums, and on insurance companies' decisions about whether to keep participating in these markets. The big picture: Various iterations of an ACA stabilization proposal have been floating around since September. But the spending bill Congress is taking up this week might be the last good vehicle this year to finally pass something. Between the lines: Showing insurers that Congress at least wants to try to help this market function might be just as important as the specifics of what it does. "Doing something that improves health plan certainty about the market next year, particularly around their costs, and ensure the market works as designed ... may make a difference in whether regions of the country have participating insurers in 2019," Chris Sloan of Avalere said. The details: There's no bipartisan deal yet, but GOP Sens. 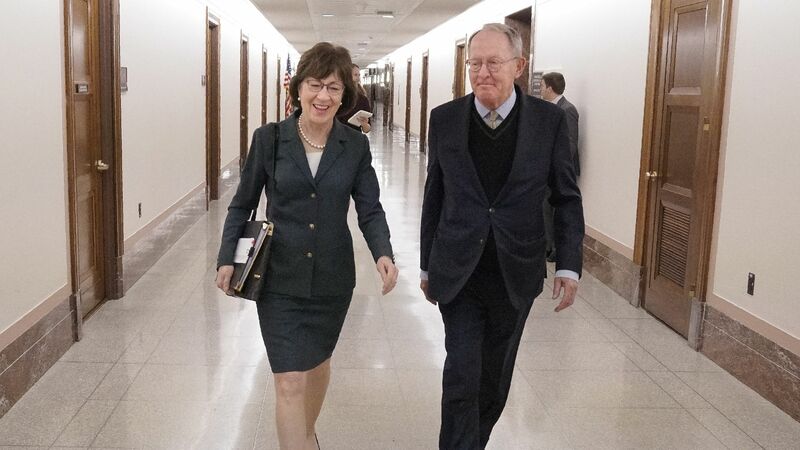 Lamar Alexander and Susan Collins are pitching a plan with three years of funding for reinsurance and for the Affordable Care Act's cost-sharing reduction payments (known as CSRs), along with more flexible state waivers and expanded access to less comprehensive plans. Funding CSRs would mainly benefit the federal government, by reducing spending on the ACA subsidies that help people pay their premiums. That would cause some subsidized consumers to pay more, while unsubsidized consumers would pay less for certain plans. "You can claim you reduced premiums by funding the CSRs, but that reduction of premiums doesn’t really help anybody," said Chris Condeluci, a Republican health policy lawyer. Funding a federal reinsurance program would lower premiums for everyone — the subsidized and unsubsidized alike. But because of the way the premium subsidies are structured, people who receive them probably won't notice the difference. The bottom line: "Funding CSRs will increase net premiums for many subsidized enrollees, while generally not affecting unsubsidized enrollees," said Matt Fiedler of Brookings. "Reinsurance will benefit unsubsidized enrollees by reducing sticker premiums, but not subsidized enrollees because their tax credits will fall ... when sticker premiums decline."